What updates should I make before I move into a new house? Let me paint a picture for you: After searching for countless hours and viewing multiple homes, you’ve finally found the one that works best for you and your family. You go under contract, get the appraisal, the survey, the home inspection. You start packing, take off work, and go back to your new home and see it without furniture, possibly for the first time. It’s yours, but it still looks like “theirs”. 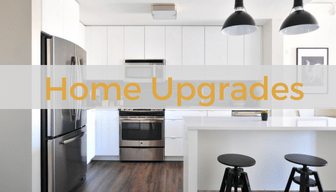 You find yourself asking: What updates should I make before I move into a new house? 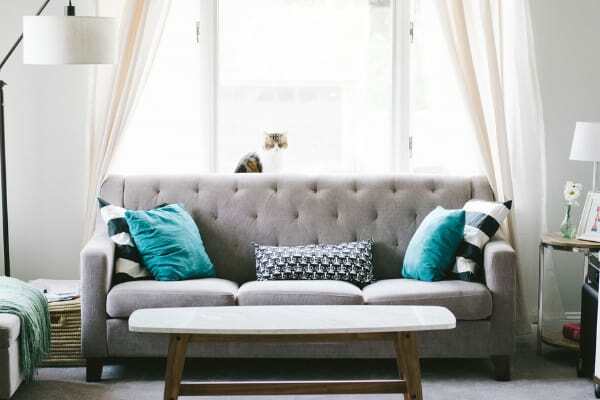 Here are nine fairly simple ways to make small changes that can help clear the slate and make the home feel even more like yours. I’m sure you’ve heard the idea that a fresh coat of paint can do wonders for changing the look (obviously) and feel of a home. If you paint an entire home, the cost can add up quickly, so if that isn’t in your budget before you move it, try painting a select few rooms or adding an accent wall or two, instead of painting the entire room. A new combination of colors can feel just as new. Additionally, you can reserve your paint supplies for painting cabinets as an easy way to spruce up a kitchen or bathroom without the mess of a full renovation project for new cabinets. 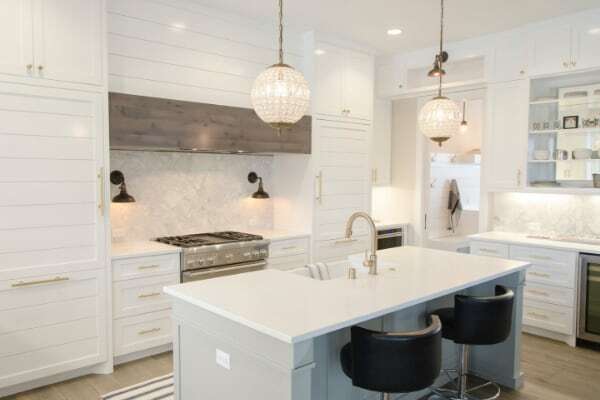 Changing the color of the cabinets will also reflect differently with the existing countertops and might highlight new colors, to make the entire area look fresh. If you’ve got a brick fireplace, consider painting or white-washing it to give it a fresh new look. Or if you like the look of red brick, consider painting the hearth or mantle, or adding a mantle if you don’t have one. Here’s a simple breakdown of how to paint a brick fireplace. You’d be surprised at what a difference a simple switching of the hardware can do to a space. Changing out the door hinges, door knob, cabinet pulls, and bathroom hardware (like towel racks and toilet paper holders) is an easy swap. 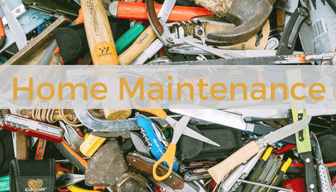 You may not have noticed it when you viewed your home prior to closing, but there’s almost always a door in sight, so new door hardware will definitely be noticed. Along the same lines, changing out the light switches, switch plates, outlets and outlet coverings will also make a noticeable difference in the feel of the home. Just like doorknobs, there’s almost always an outlet or light switch in sight – and over time, these can become dirty, dull or even broken. Be sure to have an accurate count of switches and outlets before heading to the store though and if you’re going for a beige color, make sure you get the same color! There are a surprising amount of different shades of beige/cream. If you have an accent wall, you might also be able to incorporate more decorative, yet simple, outlet and switch plates, like these trendy faux marble ones from Wall Plates Online. There’s nothing that makes a house feel more like a home than proper curtains. In addition to providing privacy and blocking sunlight, they can help transform a space. If you have lower ceilings, try hanging your curtain rod closer to the ceiling to allow for longer drapes. This will give the illusion of taller ceilings. Opt for a double rod curtain rod system and layer in some sheer curtains. They might be a cheaper option to blinds, if you don’t have them, and add some privacy while filtering in the natural sunlight. Here’s an easy guide to measuring for curtains and curtain rods. Light fixtures are another underrated decor item that can easily elevate a space with a simple switch. Track lighting in the dining room has a wildly different feel than a modern chandelier or even a more traditional candelabra. Not only does crown molding elevate the feel of your space, it might also add value to your home over time. It’s a task that is a little more involved, but doesn’t take long to install and the impact it has on the room is definitely worth the cost and effort. The same goes for baseboards, especially if your home doesn’t have any or has very short baseboards, try adding height to them and prepare to be amazed at the difference it can make! Crown Molding and baseboards also come in a lot of different designs, shapes and sizes, which allows for you to add a little personal flair that will be seen all over your new space. Speaking of accent walls: they’re not just for paint anymore! Have you thought about adding a feature wall with a board and batten design or shiplap? Even if this wall is painted the same color as the rest of the room, it adds a little extra something to the space. Wainscotting is another fairly simple way to change the look of a space, and is a great way to distinguish the room from others, like the dining room or entryway. If your budget allows, go one step further than just replacing the hardware and think about replacing the doors themselves. There are so many varieties of door designs to fit every personality. It seems that wallpaper is making a comeback – at least in some capacity! Taking on a wallpaper project can seem overwhelming at first, but there are a lot of options that are slightly easier to install (and remove, if necessary). Use this art deco style wallpaper to cover an accent wall or entryway. Or opt for a fun nautical print for a playroom or bathroom. I would definitely block off a whole weekend for this porject. You want to take your time and make sure you come up with a closet system that meets all your needs and works with your morning routine. Not only do closet systems optimize and organize (almost) every square inch of your closet, but waking up to an organized dressing space is something you’ll be pleased with for a long time! A system like this wood one from Lowes can fit into almost any size closet and has functions to store an entire wardrobe. You can also buy additional sets of these, if space allows, and have a matching set for your spouse, or for seasonal wears. These specific sets also have shoe divider that are easily inserted. Or pick and choose your pieces from this simple and versatile closet system at IKEA. Updating the flooring might not be in your budget (or skillset), but choosing the right area rugs is a simple way to enhance the look and feel of a room without changing the flooring. Since there’s likely no furniture in the house before you move in, this is a great time to measure rooms and plan out the furniture layout to determine the best size area rug for your space. There are a variety of ways to style and lay a rug in a space, depending on your room shape, size and furniture. Here’s a quick how-to about rug sizes and room layouts. Or if you need more inspiration and details, check out this article about Rugs 101. Layering rugs in a room has also quickly become a popular trend. This HGTV gallery has some great layering inspo! If you’re moving soon and wondering “what should I do before I move into a new house?”, follow these 9 easy DIY’s to make your new house feel like home. Disclaimer: The information contained in this website is not to be used as legal or financial advice. Any action you take from information on this website is at your own risk. We want to be your building consultant for life! That's one of the reasons we write this blog - to provice you with helpful information. We offer all of our clients free home advice for life -- call us one month or five years after your inspection and we'll answer your questions about your home! To Get The Most Comprehensive Home Inspection in the Charlotte Area, Give Us A Call Today (704) 606-8333 Or Click Here To Schedule Online Now! Here at Starmark Home Inspections, we love talking anything and everything homes! 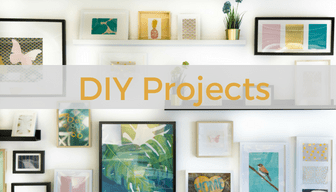 Look around for fun DIY projects, home maintenance tips, and easy upgrades you can make to your home.